Dr. Syedna Mohammed Burhanuddin Saheb is the 52nd Dai (spiritual leader) of Dawoodi Bohras, here is some marvels facts of his life. 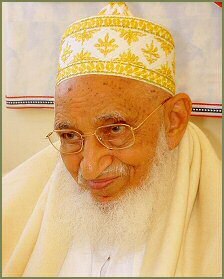 Syedna Mohammed Burhanuddin saheb (RA) will be the first Dai among Fatemi Duat Mutlaqeen (RA) to complete 102 years of age. Syedna Mohammed Burhanuddin saheb (RA) first Salgirah was celebrated in Surat with pomp and glory. That day was declared a holiday in Al-Jamea-tus-Saifiyah. In 1336h, Syedna Taher Saifuddin (RA) started his Ibtedai Taalim (Kindergarten) in Udaipur with “Bismillah Ir Rehman Ir Rahim” at the age of 3 years. At the age of 5, Syedna recited the Quran in a majlis. Subsequently Syedna Taher Saifuddin (RA) wrote in his Risalat Sharifa: When he recites the Quran he glows for the people of heaven as the stars glow for the people of earth. He completed recitation of the Quran at the age of six in 1921. At the age of twelve, Syedna (RA) miraculously emerges safe from a car accident in Colombo, where his vehicle got hung on one wheel. Aqa Maula’s misaaq is taken at the age of fifteen in 1347H, in the iwaan of al jamea-tus safiyah and the laqab “Burhanuddin” is given to him by Syedna Taher saifuddin (RA). He performed his 1st Haj and Ziyarat to Imam Ali (SA) Najaf, Imam Husain (SA) & Abbas Alamdar (SA) Karbala at that time in the year 1347 H.
On 27th Rajab 1349h, 7th Jan 1929, at the age 17 year, He was bestowed with the title of “Haddiyat” by Syedna Taher Saifuddin AQ. In 1350h, Syedna Taher Saifuddin AQ established the office of Alvazaratus Saifiyah in Mumbai and appointed Mohammed Burhanuddin for the same by awarding the Alamat Sharifa to him. On 27th Rajab 1352h, at the age of 19 years, he was raised to the second highest pedestal in the Dawah with the title of “Mazoon” by Syedna Taher Saifuddin AQ. Aqa Maula (RA) committed the entire Quran to memory in the year 1353H at the age of 21. On 27th Zilqad 1354h, 19th Feb 1936, His marriage with Ammatullah Aaisaheba D/o. Abdul Hussain Bhaisaheb was celebrated in Surat with great joy & splendor. When Syedna Taher Saifuddin (RA) and Syedna Mohammed Burhanuddin (RA) entered the precincts of the Kaaba, Syedna Taher Saifuddin (RA) asked: Where is the qibla from where I stand? Syedna Mohammed Burhanuddin (RA) replied: You are our qibla right before us! Aqa Maula (RA) performed his first waaz on the 19th of Ramadan 1357H and performed his first Ashara Mubarakah in Nasik the year after. In 1370h, Ashara Mubarak waaz was performed by both Syedna Taher Saifuddin AQ & Mohammed Burhanuddin first time in Mumbai on one Takht. Syedna Mohammed Burhanuddin RA delivered the shahadat biyan and Syedna Taher Saifuddin AQ concluded the shahadat of Imam Hussain (sa). Syedna Taher Saifuddin (RA) and Syedna Mohammed Burhanuddin (RA) preside togather again on the same takht on the occasion of Syedna Qutbuddin Shaheed’s urus in Ahmedabad. Aqa Maula (RA) continues the waaz from where his father leaves off. In 1381-82h, He performed a victorious voyage to Yemen after 400 year of Dawah transfer from Yemen & On 17th Shaban, Syedna Taher Saifuddin (RA) bestows upon him the title of “Mansur-ul- Yemen” at saifee masjid, Mumbai. In Ramzan 1384h, “Lailatul Qadr” was observed together by both Syedna Taher Saifuddin AQ & Mohammed Burhanuddin in Mumbai. Syedna Mohammed Burhanuddin RA became the 52nd Dai-el-Mutlaq at the age of 52 years. Syedna (RA) performs the iftetah of the zarih mubarak of Rasul Imam al Husain (SA) in Cairo in the year 1385H. Aqa Maula’s (RA) first Salgirah after becoming Dai was celebrated in Udaipur. The Al Azhar University in Cairo presents Syedna (RA) the Degree of Doctor of Islamic Sciences. The Aligarh Muslim University presented Syedna Taher Saifuddin (RA) with the Doctorate of Theology in 1946. Twenty years later, in 1966, the university presented the same degree to Aqa Maula (RA). First time in Dawat Ashara Mubarakah performed in Mahalle-Saifee, Mecca Mukarramah in 1389 H & perfomed Imamat namaaz at Masjid-un-Nabi (SAW). 8th August 1986 was declared as “His Holiness Dr. Syedna Mohammed Burhanuddin Day” by the Mayor of Houston. On the completion of 1400 years from the day of revelation of the Quran, Syedna delivered a speech about the Quran which was heard on All India Radio. Aqa Maula (RA) is the first Dai to travel to the North African countries of Libya, Tunisia, Algeria and Morocco; where Aimmat Fatemiyeen (SA) established their kingdom of justice and mercy. It was in 1389 Hijri that Syedna (RA) initiated the tradition of ehya on the 30th of Shehre Ramadan. Syedna Mohammed Burhanuddin (RA) built the Raudat Tahera in Mumbai & Iftetah in 1395 H, over the qabr mubarak of his father. The mausoleum is the only one of its kind to have the entire Quran inscribed on its walls. Delivering an address in Arabic during the World of Islam Festival in London at The Royal Albert Hall, in the year 1396H. The Egyptian President presents Syedna (RA) with the highest civic honour of Eqypt, the Wishah un Nil. A historic conference entitled Al-Multaqa-al-Fatemi-al-ilmi is held in Al-Jamea-tus-Saifiyah, Surat to reinforce the community’s identit 1399H. 1405 H. This year marks 1400 years of the birth of Imam Husain (SA) and 100 years since the birth of Syedna Taher Saifuddin (RA) To mark this occasion, Syedna (RA) issues five principles known as Miras ul Barakat. Syedna’s (RA) Milad celebration and iftetah of the gold and silver portal, Bab ul Mukhallafat ash Sharifa takes place in Qahera. Performing ziyarat of Maulatana Fatema (AS) in the year 1413 H.
Syedna (RA) visits Damascus for the iftetah of Maqame Rasul Imam al Husain and the zarih mubarak of Ruoos-ush-Shohada in 1414H. The iftetah of Jame ul Aqmar, Jame Lulua, Jame Juyushi and the zarih mubarak of Maulatana Ruqayya, Cairo, in the year 1416H. Syedna Mohammed Burhanuddin (RA) built the Mahad uz Zahra & inauguration in 1419 H, the first of its kind in the world for the study of the Quran. Like his father and predecessor, Syedna (RA) was also appointed Chancellor of Aligarh Muslim University in the year 1420H. Syedna (RA) was inaugurate the restored masjid and mehrab of Amir ul Mumineen (SA) in Kufa in 1423H. Syedna (RA) was inaugurate Saifee Hospital with the Prime Minister of India, Dr. Manmohan Singh in the year 1426H. Syedna (RA) restored the masjid of Imam Hakim (SA) in Qahera, Al-Jamea-ul-Anwar, in a record time of 27 months, a feat even the UNESCO hesitated undertaking. A second Al Jamea-tus-Saifiyah, Karachi – Arabic Academy is built by Syedna (RA) in 1983 in Karachi, Pakistan. Aqa Maula (RA) has performed Haj five times. Aqa Maula (RA) is the first Dai to perform the ziyarat of Maulana Ja’far ut taiyar (SA). Aqa Maula (RA) has visited Egypt and England more than fifty times. Aqa Maula (RA) has fasted ten years of Rajab-ul-Asab twice: once with Syedna Taher Saifuddin (RA) and later after becoming Dai-l-Mutlaq. Twice every year on the 8th of Moharram ul haram and the 19th of Ramadan ul Moazzam Aqa Maula (RA) invites each and every mumin throughout the world for niyaaz (Lunch/Dinner). During his visit to North Africa, Syedna confirmed the location of urf ud deek, literally the crest of the rooster from where Dajjal, the enemy of Imam Mansur (SA), fled. Syedna Mohammed Burhanuddin (RA) was the first Dai al Mutlaq to visit Europe and America and conduct Ashara Mubarakah in America. “This is not the Key of the City, it is the key to our hearts.” This is what the Mayor of Houston said when he presented Syedna (RA) with the Key of Houston. Aqa Maula (RA) has been also presented with the key of Lahore, Dallas, Mombasa. Syedna (RA) is known in Arab countries as “Azamat us Sultan” meaning the “great soveriegn”. Syedna (RA) is known in Kenya as “The Rain Maker.” Newspapers in Nairobi hailed him as “The Rain Maker” after the parched land of Kenya was blessed with rain due to Aqa Maula’s (RA) prayers. During his visit to Jordan, Syedna (RA) is given the highest civic honour of the country, “Star of Jordan Class 1”. Pakistan President Zia-ul-Haq states that the Syedna’s (RA) community is highly disciplined and that the world would be a better place if governed by Syedna (RA). President of Yemen, His Excellency Ali Abdullah Saleh presents the sword to Syedna (RA). Aqa Maula (RA) was known as the “Ambassador of Peace”. Aqa Maula’s (RA)’s 25th and 50th Milaad Mubarak were celebrated in Mumbai. Aqa Maula’s (RA) 75th Salgirah was celebrated in Surat along with the marriage celebrations of Aqa Maula’s (RA) youngest son, Shehzada Ammar Bhaisaheb Jamaluddin (DM). Aqa Maula’s (RA) 80th Milaad Mubarak was celebrated by establishing the Burhani Foundation for the preservation of the environment. Mr. Arjun Singh, then Minister for the Environment along with other dignitaries and celebrities gathered at Turf Club, Mumbai to offer their felicitations. Offering wishes on his 80th Salgirah, the Prime Minister of England Mr. John Major said, “Let’s celebrate his 100th birthday. Aqa Maula (RA) was an excellent horse-rider and a skilled swimmer and shooter. Syedna receives files and letters requesting benediction or counsel by the hundreds everyday. A file stays with Syedna for no more than 24 hours before it is answered. “Take Bhai Burhanuddin with you; for beneath his feet lies wealth,” these are the words that Syedna Taher Saifuddin (RA) said to a mumin who had come to invite him to his house. Aqa Maula’s (RA) Milaad Mubarak has been celebrated in Medina, Kerbala, Misr and Yemen. Syedna’s audience for his community often runs into several hours as he personally listens to individuals, sometimes numbering 3000. Aqa Maula (RA) was very particular about punctuality and maintains his schedules with clock like precision. Aqa Maula (RA) was the first Dai to visit Mauritius, and the Australian continent. Aqa Maula (RA) has visited the Niagara Falls in Canada and the Victoria Falls in Zambia. Never before have so many masajid been constructed as in Aqa Maula’s (RA) era. Syedna (RA) spoke several languages: Arabic, Lisan ud Dawat, Gujarati, Urdu, Hindi, and English. Aqa Maula (RA) personally supervised the annual examination of Al-Jamea-tus-Saifiyah, the Arabic Academy in Surat. He himself assigns the marks of shafahi, the oral examination. Syedna (RA) personally tutored his children and grand-children in religious texts for several hours at a stretch. Syedna (RA) has performed nikaah of mumineen in trains and even onboard a plane. Syedna (RA) cruised in the Rotterdam to Bait uil Muqaddas and in the QE II to Singapore. While travelling to remote villages in India, Aqa Maula (RA), accompanying his father, has also journeyed on bullock carts. Syedna’s (RA) voice at the age of ninety plus was so clear that a computer analysis in Germany interpreted it to be the voice of a 40 year old. Following the injunction of Quran, Aqa Maula (RA) has strictly and successfully prohibited the transaction of interest in the community. To help mumineen prosper in their businesses, Aqa Maula (RA) has established “Burhani Qardan Hasanah” and contributed crores of rupess to its corpus every year. Aqa Maula (RA) has established a number of foundations for the benefit and upliftment of Mumineen like the Saifee Memorial Foundation, Amatullah Aai Memorial Foundation, Syedna Taher Saifuddin Memorial Foundation, Saifee Burhani Upliftment Trust to name to a few. Aqa Maula (RA) has also established ‘Faiz Amaaken Anwar’ to enable Mumineen to buy houses of their ownership. Next: Have u ever heard about Aeroplane Crossing … ?